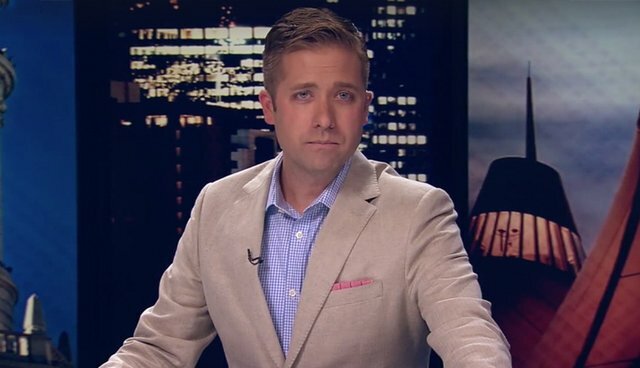 TV news anchor Kyle Clark, from NBC's News 9 in Colorado, took to the airwaves this week to share a powerful story and a heartfelt apology - that he hopes will resonate among people with pets. In the very personal and stirring segment, Clark describes an encounter he had on a hot day recently in a Denver parking lot. It was there that he heard the cries of a small dog trapped inside a car, left unattended to suffer in the scorching heat, and was compelled to try to help. "I thought about putting a rock through someone's car window today," Clark says. When he saw the dog in the car, he called for assistance on behalf of the stranger's pet. But all that person did was laugh him off. Fortunately, the dog did survive, though that's not always the case. It should be no secret by now that leaving pets inside cars can be deadly. But as Clark's account shows, there's sadly still a need for reminders that, even on days where outside temperatures are relatively mild, the heat inside vehicles can still be blistering enough to harm or kill an animal - whether or not the windows are rolled down. We're grateful to Clark for spreading the word. Florida recently passed a law making it legal to break into cars to rescue pets, joining Tennessee, which has a similar law on the books, and more states may be following suit. For more information on what you should do if you see a pet trapped in a hot car, click here.